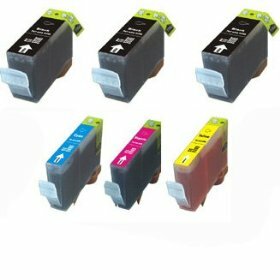 Bob was more than mildly astonished when he went to our local office supply store and found that a set of four refill cartridges for his Canon color inkjet printer cost $60. Instead of buying, he went home, went on the Internet, and ordered a set for $15 from an unauthorized supplier. He just picked the first supplier on the list that had good customer comments. A few days later he got two full sets of ink cartridges in the mail – eight in all. Let’s work this out: That was the equivalent of two $60 sets from Canon, which would have cost $120. So the $15 for two sets from an outside supplier cost just one-eighth as much, or12 cents on the dollar. They worked fine, though the color seemed not quite as strong as the Canon cartridges. This might matter in printing photos, which is a common use for inkjet printers. But the difference was slight, and didn’t matter to us. When those inferior inks gum up your printer head making your printer totally useless (just like what happened to me) you will then know why it is worth buying ink made to recommended specifications for the printer brand. There are still fairly good deals that can be found on ebay by doing a search for “genuine canon ink cartridges” and making sure they are in the original box. If they are only in the wrapper, they may have come from a printer box and not have as much ink in them as repalcement cartgidges. So who is the “unauthorized supplier”? It was an outfit called “TonerPals,” which we found on Amazon.